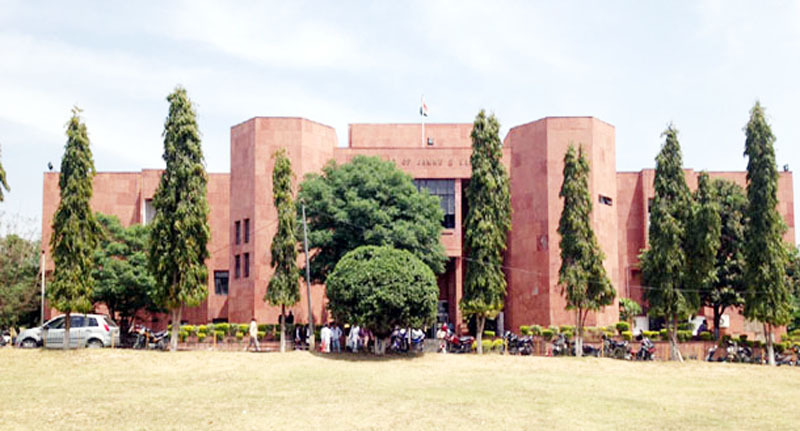 JAMMU, Nov 8: High Court has rejected the pre-arrest bail application of Executive Officer and Khilafwarzi Inspector, who have been booked under different provisions of RPC and Prevention of Corruption Act. Through the instant petition filed under Section 497-A of the Code of Criminal Procedure petitioners prayed for bail in FIR No. 0182/2018 dated 04.10.2018 registered at Police Station, Thanamandi for commission of offence under Sections 420,467, 468, 471 RPC and Section 5(2) of J&K Prevention of Corruption Act, 2006. After hearing both the sides, Justice Sanjay Kumar Gupta observed, “argument of the counsel for the petitioners that petitioner No. 1 was not the Executive officer of Municipality, Thanamandi at the relevant point of time, does not hold good, because from bare perusal of report it is evident that, there is a specific allegation against the petitioners Mohd Kubir Malik and Khalil Ahmed that they have made illegal appointments in MC Thanamandi in back dates”. “There are also serious allegations against the petitioners that some of the appointees are students, some have gone outside the State for labour purpose and some are running their own business in Thanamandi town and others areas. It is also alleged that the petitioners have engaged large numbers of youths from outside the town and ignored the local youths of Thanamandi town and mostly are the relatives of the officers/officials of Municipal Committee Thanamandi”, High Court further observed. “It has also come in the investigation that the record pertaining to the daily wagers/need base/casual labour has been tempered by the petitioners and actual names have been erased by using fluids, thereby writing the names of other persons. The investigation conducted so far primarily involve the petitioners in the illegal appointment of 16 persons after taking huge amount from them”, High Court said. “The argument of counsel for petitioners that investigation is being conducted by ASI of Police, who is not empowered to conduct the same under law, is also not tenable, because at present investigation is being conducted by Additional Superintendent of Police, Rajouri. So all these aspect of the matters require detailed investigation and for that purpose custodial interrogation is also required”, Justice Gupta said. “Corruption menace has ruined the country, so accused involved in these cases should not be granted bail as a matter of right. Already our State is far ahead in corruption than any other States in the country and this all is due to these corrupt officials”, High Court said.